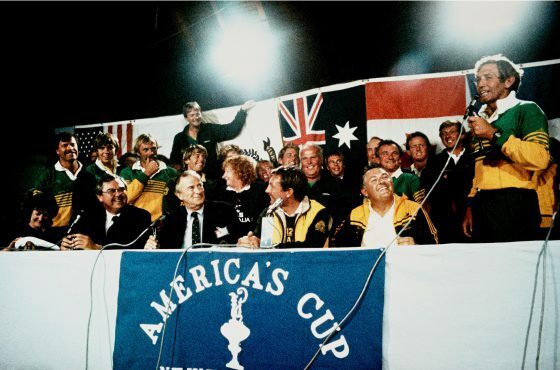 Australia II captured the hearts of a nation when they were victorious in winning the America’s Cup in 1983, breaking a 132-year winning streak by the Americans in sport’s oldest trophy. 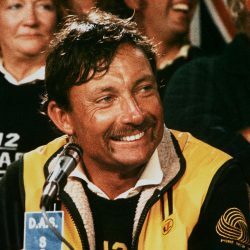 The achievement of the Australia II team in winning the America’s Cup in 1983 was one of the most remarkable feats in Australian sporting history. 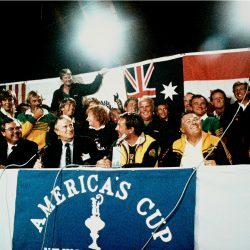 The America’s Cup fascinated the Australian sailing community for 20 years before it was finally won. 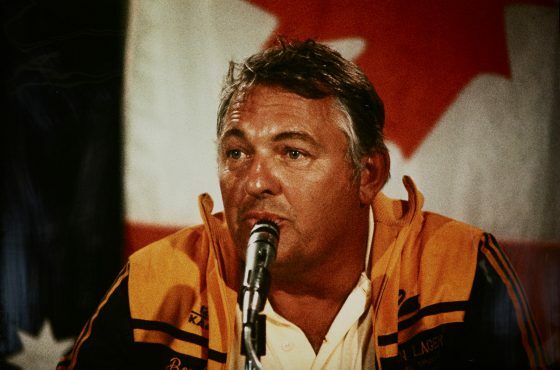 Up until 1962, Britain and Canada were the only two nations to challenge for the Cup. 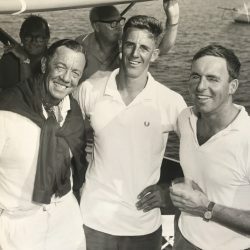 In 1962 an Australian syndicate from the Royal Sydney Yacht Squadron challenged the Americans for the first time. 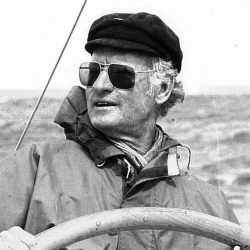 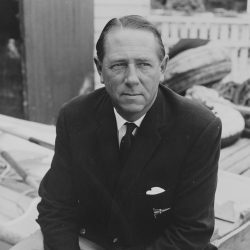 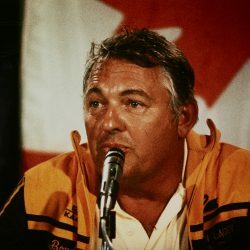 Led by Sir Frank Packer, the challenge by Gretel was unsuccessful, but the Australians became the first challengers to win an America’s Cup match race against the Americans since 1934. 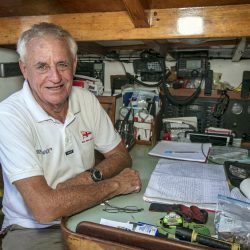 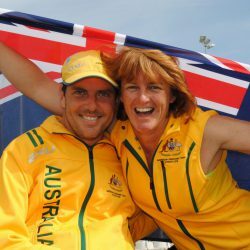 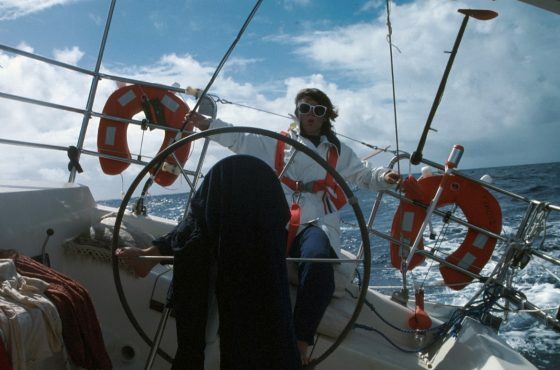 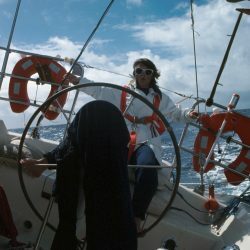 The Australians then challenged with Dame Pattie in 1967, Gretel II in 1970, Southern Cross in 1974, and Australia in 1977 and 1980. 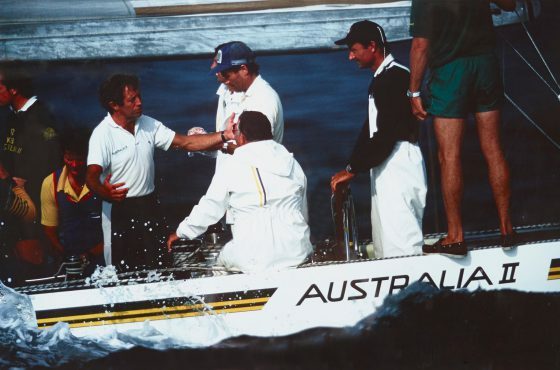 Then, in 1983, Australia challenged with their best-prepared syndicate ever, Australia II. 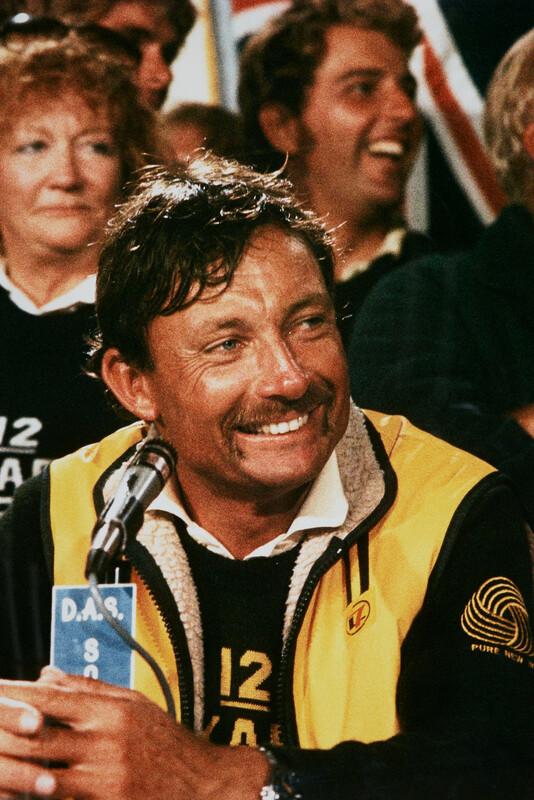 Owned and built by a syndicate of Western Australians headed by businessman Alan Bond, the Australians were determined to bring home the ‘Auld Mug’. 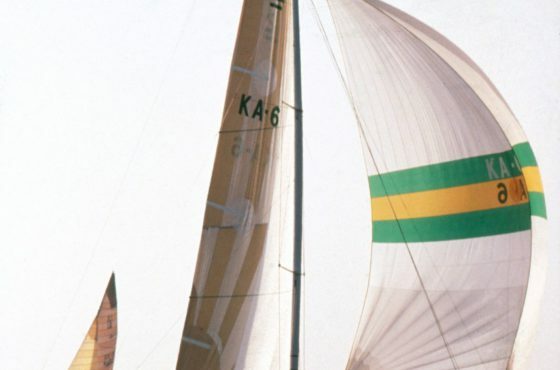 The designer of Australia II, Ben Lexcen, had conceived a winged keel that had out-performed conventional keels in secret testing in the Netherlands. 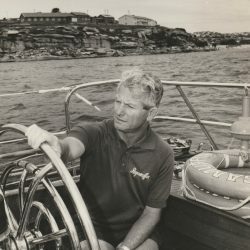 The yacht was built in Cottesloe, Western Australia by boatbuilder Steve Ward. 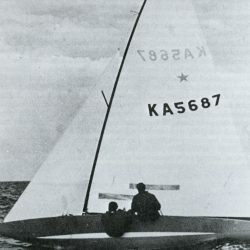 Lexcen’s winged keel was at the centre of huge controversy. 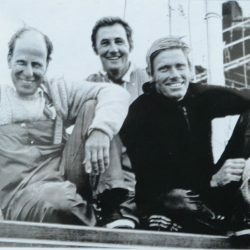 Upon arrival in Newport, Rhode Island, the keel was hidden from view with tarpaulin ‘modesty skirts’ that were draped over the side of the boat each day before it was lifted in or out of the water. 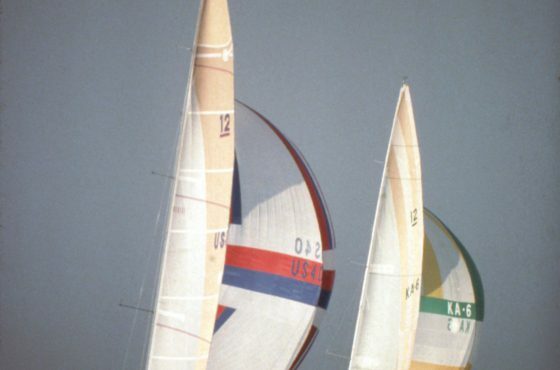 The design was protested by the Americans, but ultimately the ‘off-water’ psychological battle was won by the Aussies and they were given the all-clear to race. 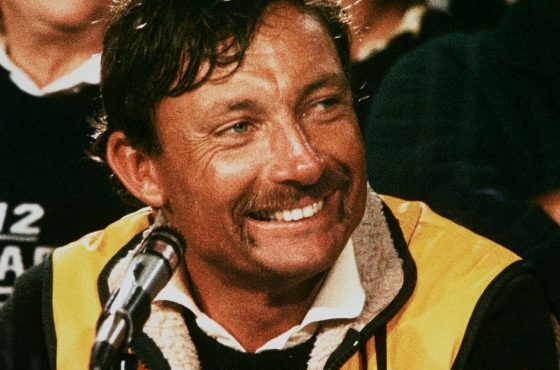 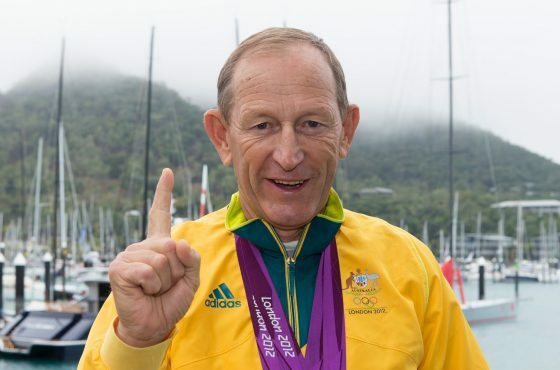 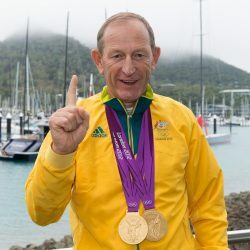 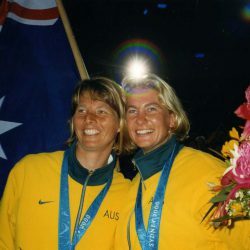 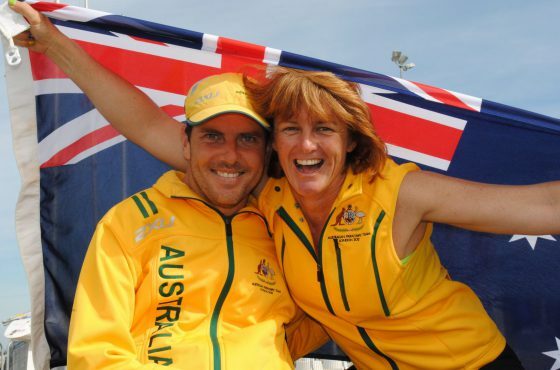 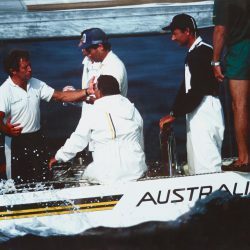 Skippered by John Bertrand, the crew of Australia II displayed a ‘never-say-die’ attitude when they came back from being 1-3 down in the best of seven race series. 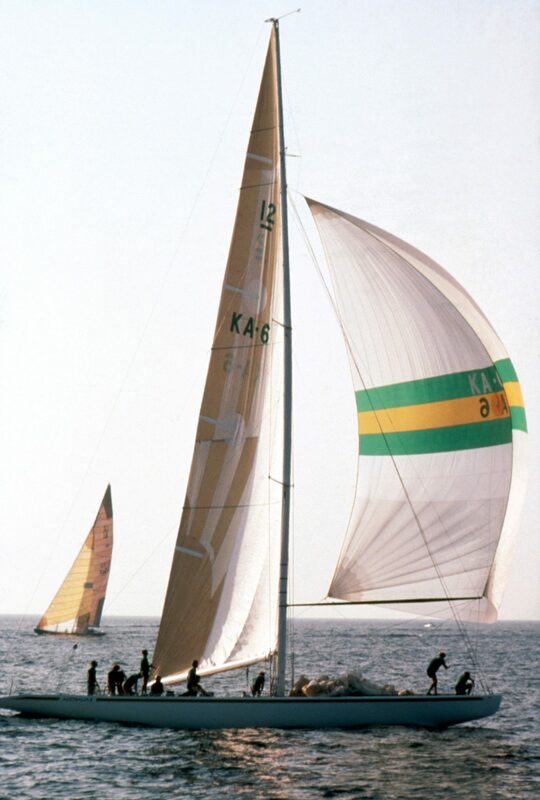 The Aussies fought their way back to take the competition to the seventh and final race. 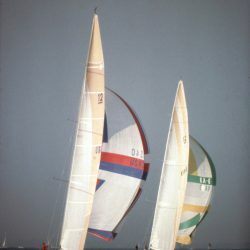 The final race proved a real wrestle. 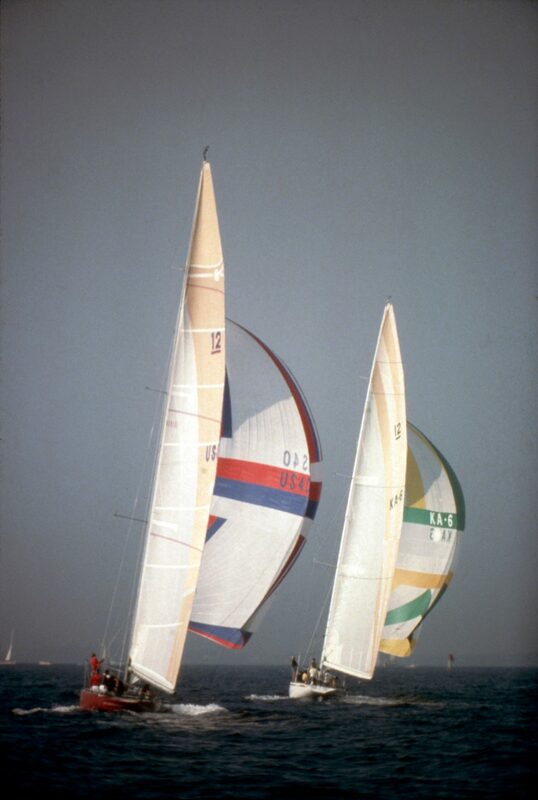 The American boat Liberty led from the start, until being overtaken on the last downwind leg by Australia II. 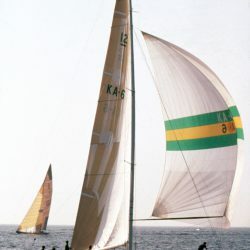 During the final windward leg the team aboard Australia II tacked many times to defend their precious lead. 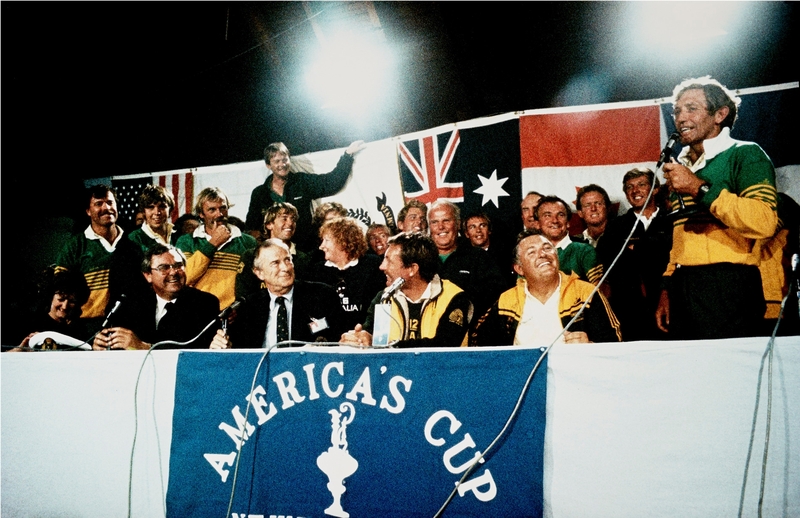 At 5.21pm on September 26, Australia II crossed the line to win the America’s Cup, taking the Auld Mug in an historic 4-3 win. The Australia II team which won the 1983 America’s Cup was responsible for one of the greatest, most memorable moments in Australia’s sporting history.